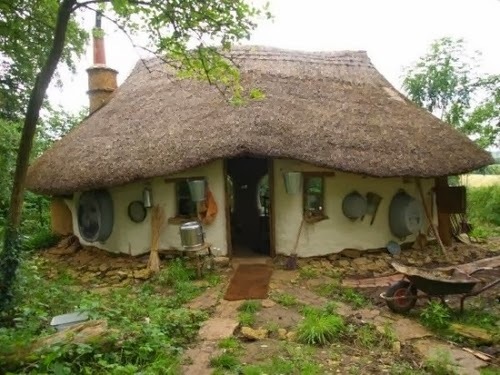 That is right British Arts Teacher, Michael Buck built this small home for £150 ($246), when asked how he managed to keep the price so low, he replied that he was upset he did not manage to do it for free. 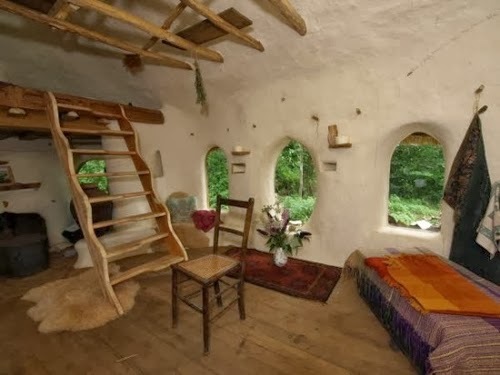 It took Buck 2 years to construct this Cob House (Cob, Clom in Wales, is a building material consisting of clay, sand, straw, usually in bale form). He learnt this ancient practice from a book. The House is 28m2 (300 sq Ft) and a lot of recycled items went in its construction, like the floorboards, were given to him by his neighbour. More of the information is underneath the pictures in the article. The walls are painted with a plant resin and chalk blend. 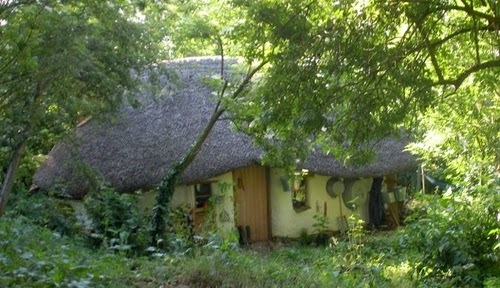 The roof is thatched (a process which, again, he taught himself from a book) supported by a simple wooden frame. 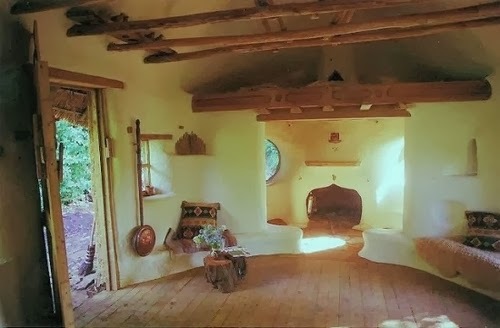 No power tools were used in the construction of this Hobbit House, which is not connected to the mains for water, gas or electricity. Free running water is taken from a stream nearby, thanks to the brilliant insulation the Cob walls provide, the house does not need central heating, the wood burning stove and the fireplace provide all the heat you need. Finally candles and lanterns provide light. The food is kept cool in what they call a shallow just in front of the cottage to preserve the food (I am guessing it is some kind of box buried in the ground?). The toilet is placed in a small outhouse next to the Cottage, with a tin bath strapped to the side of the building. The House comes with Kitchen, Dining and Sitting Area, Bed Area and Toilet Outhouse. I don't think though that we need to go back to candle light to achieve this, we just need to use our resources better and put more money into R&D for renewable sources of production and storage of electricity and finally make accessible to every one. Technology is supposed to make things Better and Easier for people and not Worse and more Difficult.